Quality and care for the raw materials are the first and most important steps in the production of a good grappa. For this reason, healthy, fresh and vinous pomace of grapes grown in dedicated areas are stored with care to preserve all their quality. 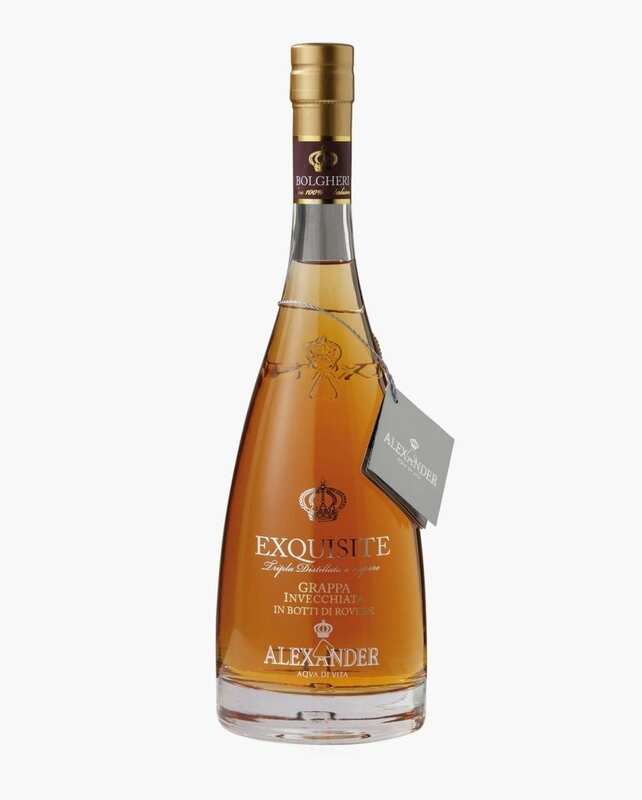 Grappa Exquisite Invecchiata Bolgheri has its origin in the precious pomace of grapes like Merlot, Cabernet Sauvignon and Syrah. These varieties are used for the renowned Bolgheri Rosso DOC, a wine produced in Castagneto Carducci area (Tuscany), pleasant to drink, with remarkable but harmonic tannins, good acidity and intense aromatic persistence. Grappa is produced during three distillation phases with different temperature. The process takes place in traditional copper alembics, which allow for under vacuum distillation (greater protection of aromas), with bain-marie heating (indirect and therefore more delicate system), thus preserving the aromatic fullness and fragrance of originary grapes. 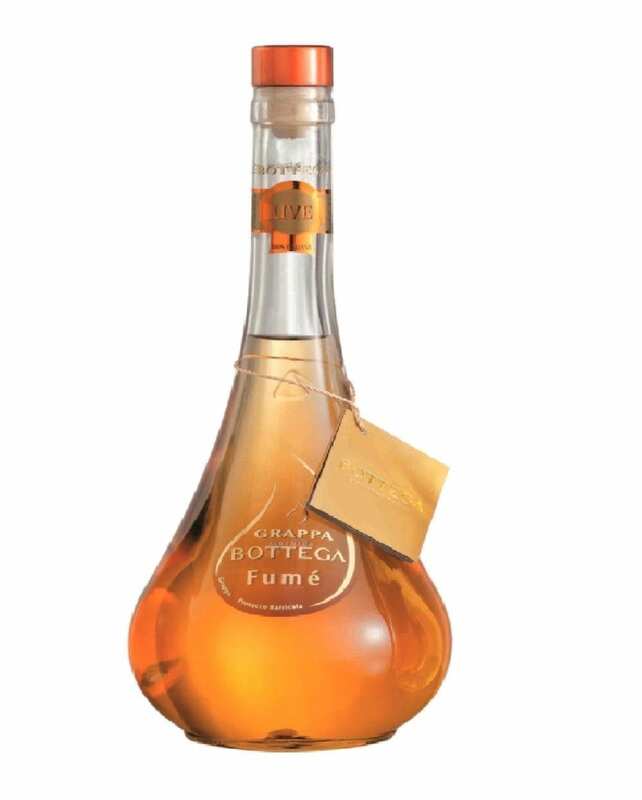 Grappa is then aged for 12 months in oak barrels produced with traditional techniques: freshly cut wood is left to dry in open air for at least 24 months, thus losing water and most astringent tannins. Staves are cut and assembled before undergoing an intense toasting. During aging in these barrels, chemical and physical reactions enhance the complexity of the bouquet, giving grappa a softer taste and a typical amber color. 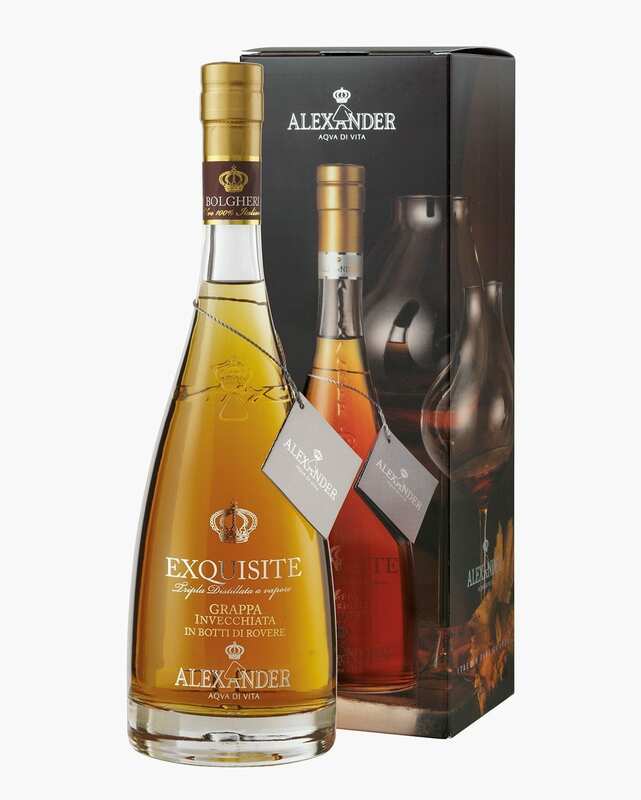 Ample and elegant perfumes, with harmonic captivating spicy and vanilla notes as a result of aging in wood. 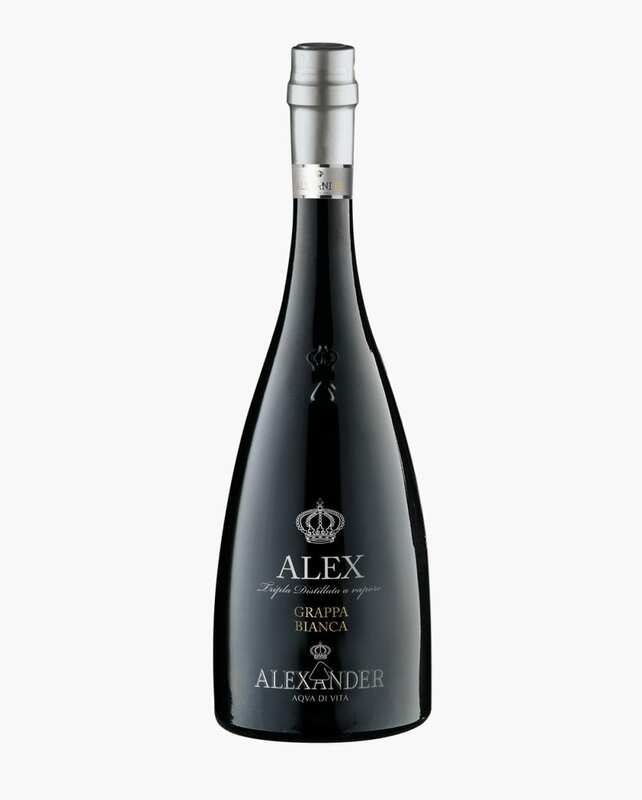 Warm, velvety and rounded, on the palate it expresses the richness of its originary vines and, thanks to aging in wood, it is characterized by and intense olfactory and retro-olfactory persistence. 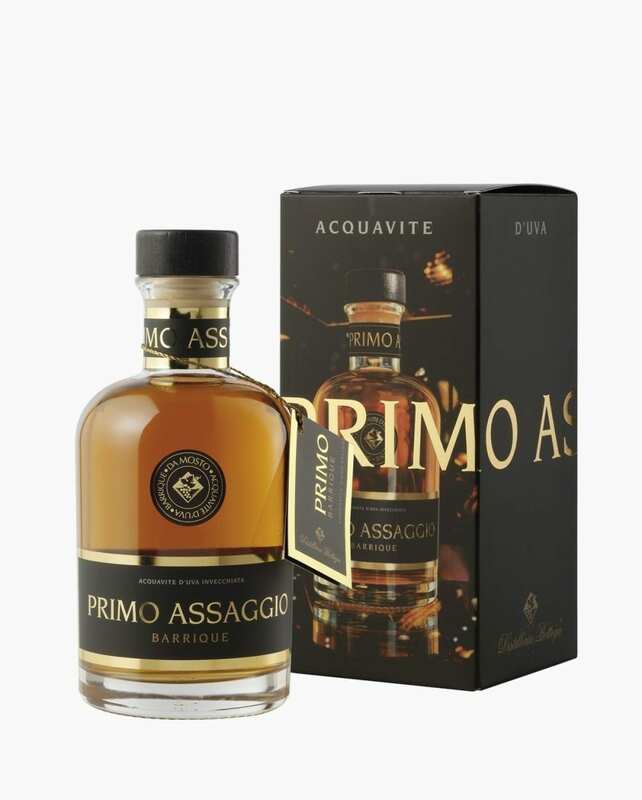 Aged grappa is perfect after meals, as a meditation distillate, and is also an ingredient in cocktails and long drinks. It is a perfect match with dark chocolate, with cocoa-based cakes and with pastries, particularly with almond, nut or pistachio biscuits.